My latest book is among the most challenging I’ve ever written. It takes readers back to a terrible chapter in history, the Holocaust. At first I wasn’t sure if I should take on this topic, but so many readers asked for a book about the Holocaust that I decided to try. My goal was to write a story that tells what it was like to be a Jewish child living in the time of Hitler, but to also explore an aspect of the Holocaust that is not well known: that thousands of Jewish people fought against the Nazis from secret hideouts hidden deep in the forests of Eastern Europe. Known as Jewish Partisans, many of these men and women were teenagers. 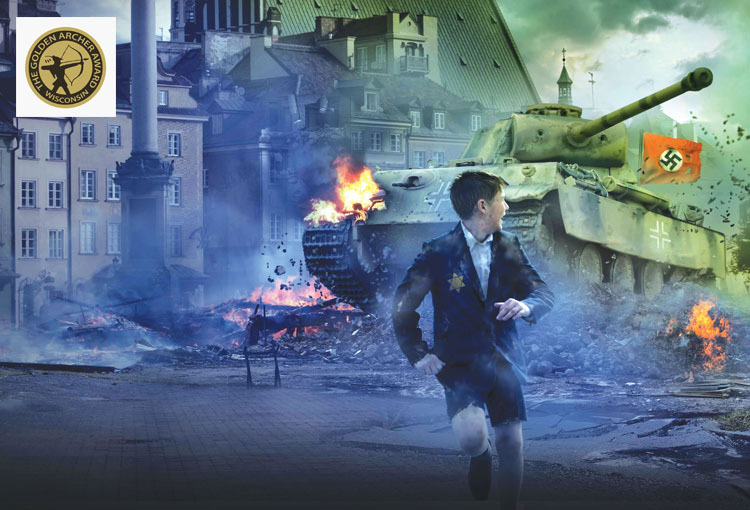 This book features 11-year-old Max and his 9-year-old sister Zena, whose lives in a quiet Polish town are shattered by the invasion of Hitler’s Nazi troops. Like millions of Jews across Europe, Max, Zena and their father are imprisoned in a “ghetto,” a crumbling neighborhood surrounded by barbed wire. As the story opens, Max and Zena are living on their own; their Papa was arrested, and they fear they will never see him again. Max and Zena make a daring escape, and cross paths three young Jewish partisans. Soon they are all caught in a terrifying bombing attack, and it seems impossible that they will make it to safety. Though this is a work of historical fiction, all of the events are based on real stories I read in my research into the real lives of Jewish partisans. For more information about these incredible people, you can explore this website of the Jewish Partisan foundation.